Alisha L. Jacobsen, of counsel to the firm, earned her J.D. at the University of Maryland in 2010 and is licensed to practice in Maryland. She has represented clients in matters of guardianship, divorce, custody, child support and immigration. She also drafts wills, powers of attorney and other estate planning documents. Prior to studying law, Ms. Jacobsen taught French, English, Latin and education courses to adults and children in several states and countries. She graduated from the University of Iowa with a B.A. in French and Political Science and received her Master’s in Teaching from the School for International Training in Brattleboro, Vermont. 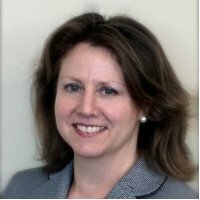 Ms. Jacobsen also works and volunteers with the Montgomery County Bar Foundation’s Pro Bono Program.